A new collaboration between Wicked Weed Brewing and New Belgium will benefit WNCA’s French Broad Riverkeeper, a program which works to preserve the environmental integrity of the French Broad River in Western North Carolina. 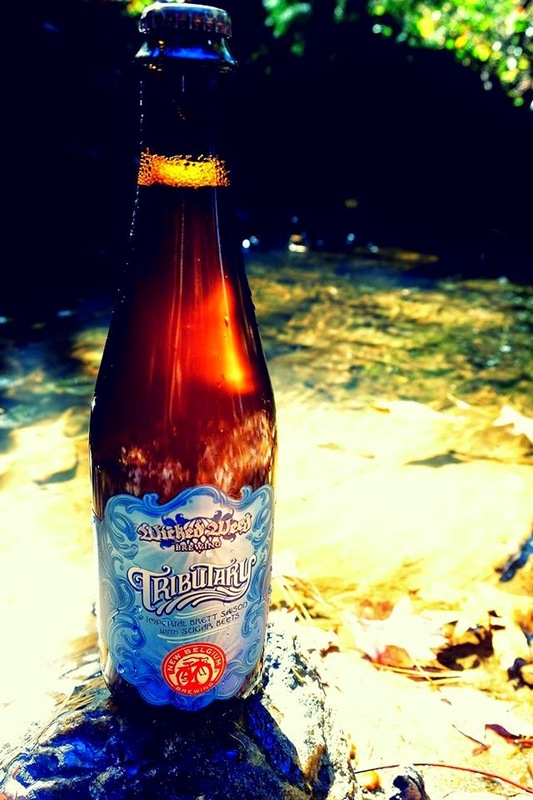 Wicked Weed, a fast-rising star in the Asheville beer community, and New Belgium, which is building a new brewery on the banks of the French Broad, will release "Tributary", an Imperial Brett Saison, on November 15th. The beer will feature malts from two up-and-coming craft malt houses: Asheville's Riverbend Malt House and Colorado Malting. It is also made with a combination of yeasts from both breweries, sugar beets, Mosaic hops, and an experimental, yet-to-be named hop. Cider fans will soon gather in Asheville to celebrate one of the fastest growing segments of the craft beverage industry: hard cider. 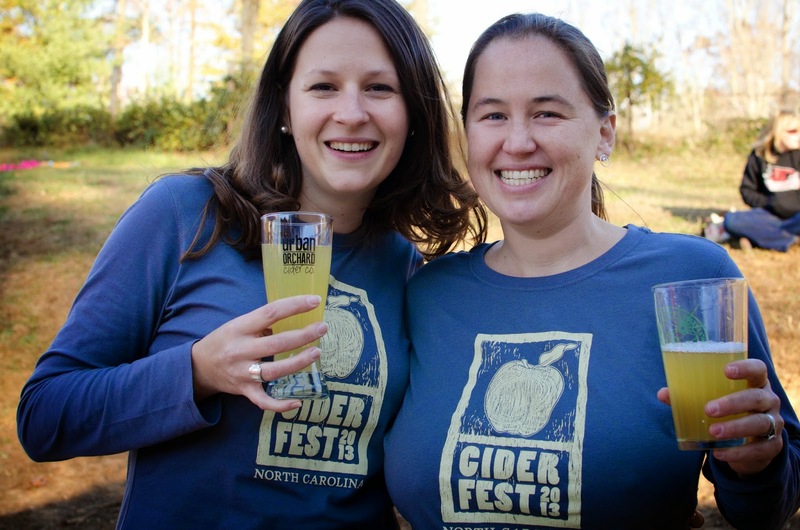 After a very successful 2013 event, CiderFest NC returns to Western North Carolina on November 2nd, 1pm-5pm. 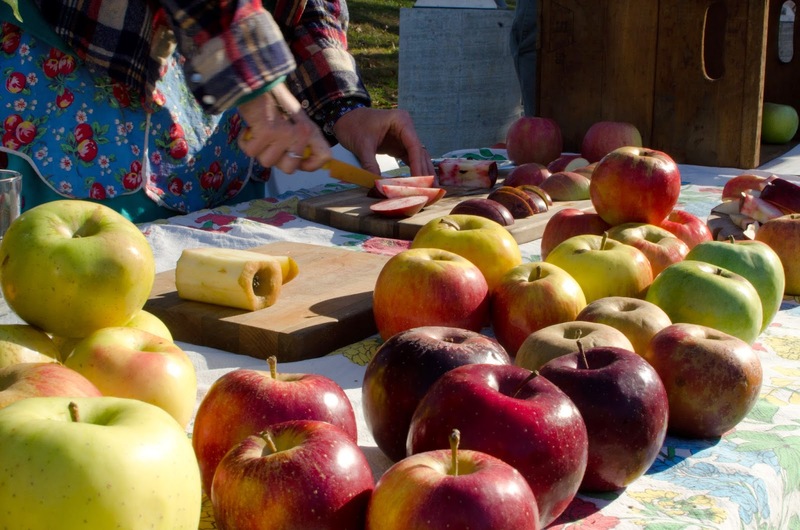 The cider festival will be held this year at the WNC Farmer's Market at 570 Brevard Rd. In the US, the hard cider market has grown exponentially, tripling in production between 2011 and 2013. Locally, the cider industry is also growing rapidly. Noble Cider recently announced expansion plans, while newcomers Black Mountain Cider Works and Urban Orchard Cider have joined the party in the last year. In addition to hard cider, CiderFest attendees will have the opportunity to sample cheese and other artisanal foods. Non-alcoholic cider will also be available. All proceeds from the event will support the WNC Green Building Council. 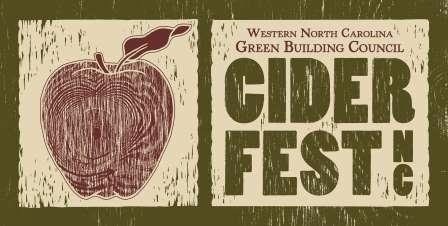 Tickets can be purchased at CiderFestNC.com for $30. Kids and young adults 20 and under get in free. As you're driving across western North Carolina this fall, enjoying the changing colors, consider stopping in Sylva, North Carolina. 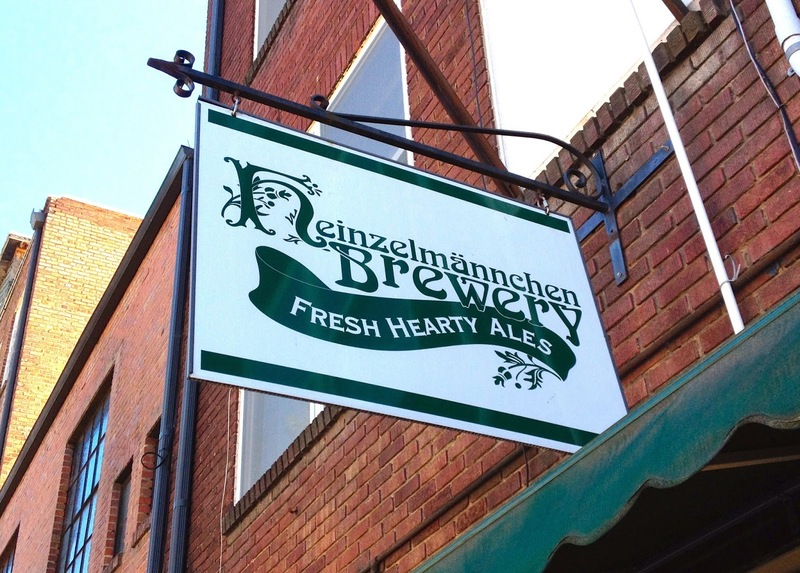 This small town about an hour west of Asheville hosts one of the oldest craft breweries in the area: Heinzelmännchen Brewery. Before there were Wicked Weed, Hi-Wire, or even a notion of New Belgium opening a brewery in Asheville, there was Heinzelmännchen. Husband and wife team Dieter Kuhn and Sheryl Rudd opened Heinzelmännchen Brewery in 2004, survived the Great Recession, and are now poised to expand their brewery and become a serious player in the regional beer market. 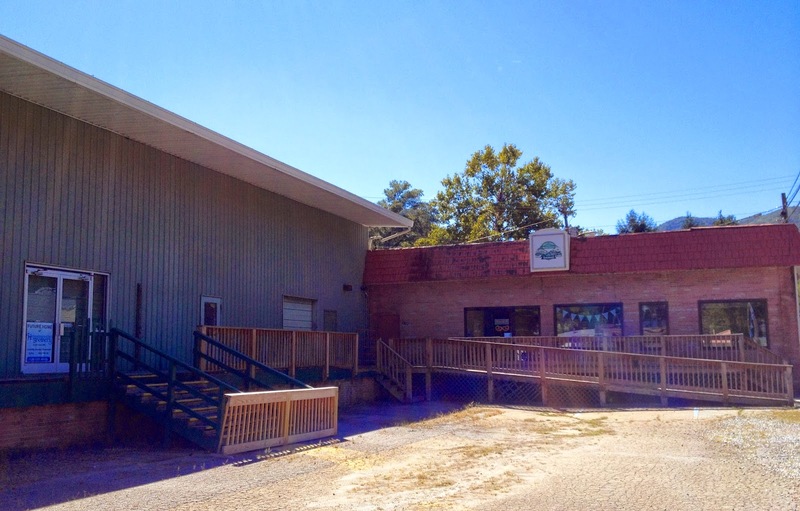 The current brewery is located at 545 Mill Street in downtown Sylva, a town of fewer than 3,000 people. Though Sheryl and Dieter have become well-known entrepreneurial figures in the area and regulars come in on a daily basis, the brewery relies heavily on tourist traffic from out of town. Dieter spoke fondly of a pair of friends who came through Sylva when the brewery first opened ten years ago. They’ve stopped in every year since when they pass through for their annual camping trip, and now bring their kids along as well. German-born Dieter Kuhn has personally run the brewhouse for the past ten years, specializing in well-balanced, German-inspired ales. Many of Dieter’s recipes are influenced by the old style of brewing in Germany, where each village would have its own brewery to service the local population. In addition to a rotating line-up of 8-10 draft taps, Heinzelmännchen also serves two homemade soft drinks -- a root beer and a birch beer -- which are popular with the kids. Among the beers I tasted on my visit were Roktoberfest, a rich, toasty, malty-sweet festbier, and Ancient Days Honey Blonde Ale, a pale, lightly-hopped blonde ale made with locally-sourced Catamount honey. The honey contributed a spicy complexity to an otherwise straightforward beer. All of the beers were well-balanced, though Dieter makes a couple IPAs for the hop heads, including Orange Blossom Imperial IPA and Gnarly Gnome, a 7% ABV Black IPA. Having established themselves in WNC, Sheryl and Dieter have reached the limits of their current space and are planning a new production facility just down the road in Dillsboro. The new, 30-barrel brewhouse will increase production significantly, enabling Heinzelmännchen to put their beers in cans and bottles, thereby reaching droves of new customers. 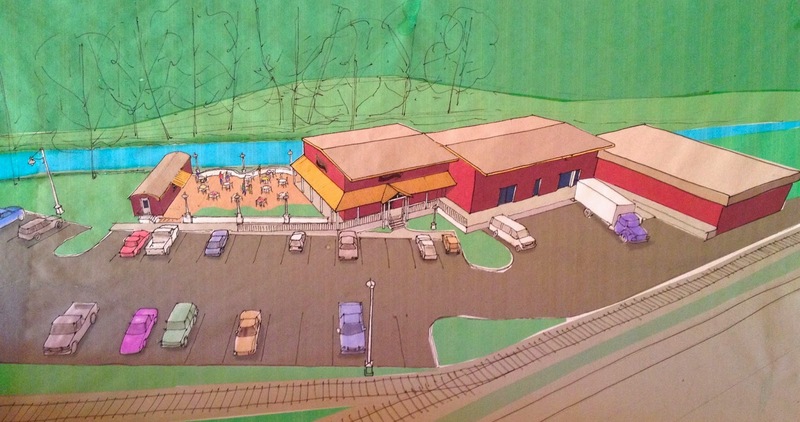 The Heinzelmännchen expansion will have a significant economic impact on the surrounding area. The new space will have room to serve up to 144 people, creating a good number of local jobs. The new brewery will occupy an abandoned rail depot, offering an opportunity to revitalize an older part of town. To finance the project, Sheryl and Dieter have begun raising money through a crowd-sourced funding campaign, in which supporters earn rewards for their contributions. Some of the higher-level gifts can be split among a group of supporters. Aerial concept of the new Heinzelmännchen Brewery. As Dieter puts it, Heinzelmännchen has been developing the customer relationship “one glass at a time.” That customer-oriented business-style and economic investment will surely have a positive impact on the brewing industry of WNC. The future home of Heinzelmännchen Brewery. 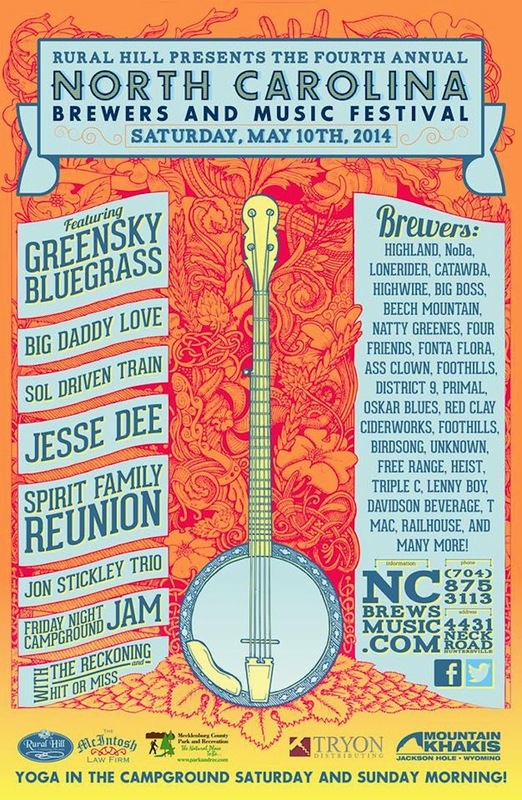 This weekend is the fourth annual North Carolina Brewers and Music Festival. I've heard great things about the festival -- not once but twice a cashier at the local Earth Fare told me I had to go. To give us a sense of what to expect from the fest, I asked Executive Director Jeff Fissel a few questions about the event. LBB: As a first-time attendee of the North Carolina Brewers and Music Festival, what should I know about the fest? What makes NCBMF different from other beer and music festivals? JF: What makes this festival different is the effort and time put into both the music aspect of the festival as well as the beer side. We try our best to put on an event that promotes great local NC beer and pair that with some talented bands from across the country. If it is your first time at the festival just know to be ready to spend the day outside and to pace yourself, there is a lot of beer and a lot of bands to take in. JF: Rural Hill is a historic working farm and we do unique events year round to raise money for the site and our educational programs. The 265 acre farm lends itself perfectly as a unique outdoor festival venue and we are located just outside of Charlotte in Huntersville. LBB: What makes NCBMF one of the best festivals in the Charlotte area? JF: What makes us unique is our venue and the fact that you can camp for the weekend. The campground is a great place to hang out and is filled with great people who are here to enjoy themselves. Live music from world class bands certainly helps as well and focusing on beer brewed right here in our home state is a big part of the festival's success. LBB: Which musical act(s) are you looking forward to the most? JF: Personally I love Greensky Bluegrass, but I am really looking forward to seeing Spirit Family Reunion for the first time on Saturday. LBB: What beers or breweries are you looking forward to the most? JF: I also love to see what the crowd favorites like Noda and Highland bring, but I am also excited to try beers from some of the new guys like Primal and D9. LBB: What eight words best summarize NCBMF? JF: Fun, laid back, great moods, tunes, and beer. LBB: Anything else we should know about the festival? JF: Check out the website for all the scheduling info and FAQs and we will see you this weekend. It might also be good to know to get your tickets in advance just in case they sell out before Saturday. Check back after the fest to see how it went! Cheers! 1. Camden, what inspired you to create this film? Craft beer and I have had a slow-burning romance since Pop the Cap legislation was signed in 2005. This film is essentially a love letter to craft beer and the people making it. I’m a huge fan. The more I learn, the more I fall in love with it. The idea began at Fullsteam Brewery in Durham, N.C., after Ignite Durham a few years ago. I had just listened to Shane Johnston give a talk about craft beer. (Watch the video here.) 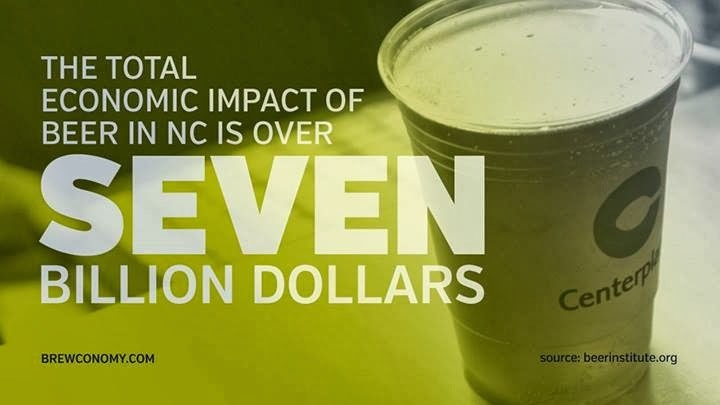 Since I was wrapping up my first feature-length documentary at the time, we jokingly talked about making a film about North Carolina craft beer. That turned into a few, more serious, conversations after my film wrapped. Now we’re actually making Brewconomy and I couldn’t be happier about it. 2. Is this your first documentary? This is my third documentary and my fourth film. I keep a list of my films here if you’d like to learn more. I produce and direct, mostly on documentaries and comedies. Filmmaking is something that makes me ridiculously happy. It’s challenging, complex, and collaborative. I also get a chance to meet interesting people and share their work with the world. My hope is that every film I make will help improve someone’s life a little, through awareness about something I believe in or a bit of comedy. 3. What experience do you have in film making? I’ve always dreamt of being a filmmaker, even as a little girl. My background is in graphic design, photography, and communications. I’ve also worked in marketing and project management. But I never had a formal filmmaking education. Much like home brewers testing their beers and improving each step of the way, I’ve been learning more with every film I make. The school of hard knocks is filled with unforgettable teachers. Those lessons aren’t easily forgotten. Brewconomy is going to be my best film yet. We have an incredible team and very professional crew working on it. So that people can get an idea of what we’re working on, we’ve been posting clips on YouTube. I’m so proud of what we’ve captured and how it’s all coming together. 4. What's so special about local beer in general, and NC beer in particular? Local craft beer is an incredible thing. It’ll be tough to keep this answer short. Like a lot of folks, I was used to drinking watered-down beer that had very little flavor. Over the years -- and with a lot of help from friendly brewers and beer enthusiasts -- I’ve come to love the taste of just about any style of craft beer. Each one is so different, flavorful, and delicious. A lot of breweries source locally, which is what makes North Carolinian beers so distinct. They reflect the area because they’re made from what’s available here. I prided myself on knowing the South well because I was born and raised here. Then we interviewed Sean Lilly Wilson at Fullsteam, and I was schooled pretty quickly. They make beers from fruits I never knew existed, like the paw paw. Check out their forager series of beers; they’re incredible. We interviewed the folks at Riverbend Malt House who are helping brewers make distinctly Southern beer. They provide brewers with locally farmed, artisan malts. They’re doing such great work. Watch a clip from our interview with Riverbend Malt House here and learn more about their work with New Belgium here. But, you know, it’s not just the beer, the experience of savoring each sip, or even pairing it with amazing food that keeps me fascinated. It’s much bigger than what’s in the pint. The craft beer industry is having a big positive impact on the state’s agriculture, community, and economy -- and that’s the focus of our documentary. 5. Why should someone support your Kickstarter campaign? Beer enthusiasts should support the Brewconomy Kickstarter campaign because they believe in local brewers. We do. We want to share their story -- but we can’t do it alone. The Kickstarter campaign is helping us fund the rest of production (equipment, travel, accommodations, talent, etc. ), but it’s also building a community of supporters. That’s really important to us. We want the community to be a part of the filmmaking journey. I’m so grateful for the overwhelming support we’ve already received. We’re very close to our $10,000 goal. Kickstarter is an all-or-nothing site so if we don’t make the goal, we don’t have that cash to put into the production. Every dollar counts. We need help. Please become a Kickstarter backer. Tell your family, friends, and co-workers about it. If they’re not familiar with how to use Kickstarter, walk them through the process. Follow us on Facebook, Twitter, and YouTube as we continue making Brewconomy. Thank you! I took some time last month to visit a friend who was back in his home territory of New England for a short break. Like me, he's a craft beer fiend, so we made sure to take advantage of as much of the local beer scene as we could. 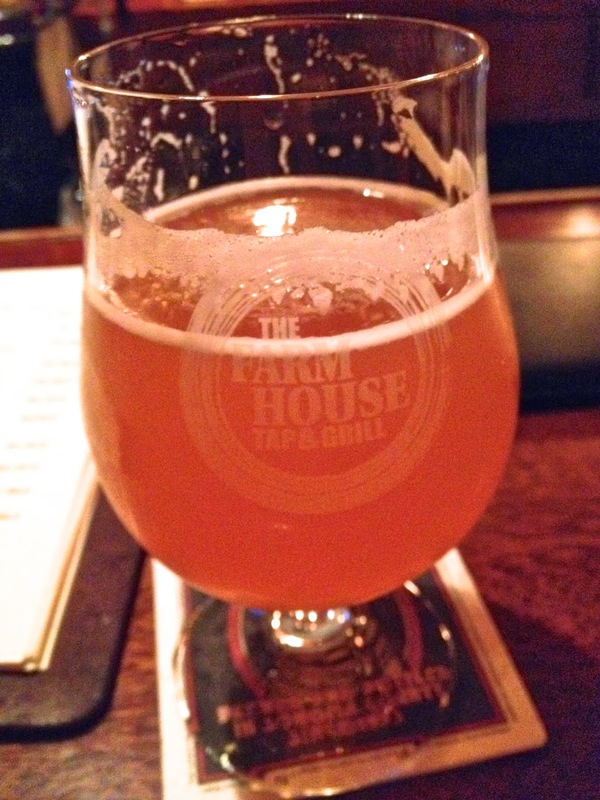 Our adventures included a delicious dinner at the Farmhouse gastropub, a trip to Hill Farmstead, a sampling of the highly sought after Heady Topper, and a massive homebrew day. Edward (1917-2002) is our grandfather; Hill Farmstead Brewery rests upon the land that was once home to him and his five children. In his honor, this American Pale Ale is dutifully crafted from American malted barley, a plethora of American hops, our ale yeast and water from Edward’s well. It is unfiltered, naturally carbonated, and dry hopped. Aromatic and flowery, with impressions of citrus and pine, this is the ale that I dream to have shared with Edward. The food that followed was also excellent, from the local cheese plate to potato croquettes to the locally raised beef burgers. I highly recommend a visit to Farmhouse if you're ever in Burlington. After several more local beers, a raging metal show, way too many Rolling Rocks, and an attempt (and failure) to kill a keg of Switchback Pale Ale, we called it a night. We were saved the next day by one of the most greasy and delicious bacon, egg and cheese bagels I've ever encountered. Rejuvenated, we got on the road for Hill Farmstead, picking up a four-pack of the famed Heady Topper along the way. If you're unfamiliar, Heady Topper is one of those insanely popular beers that people travel far and wide just to try. We would sample it later that night. 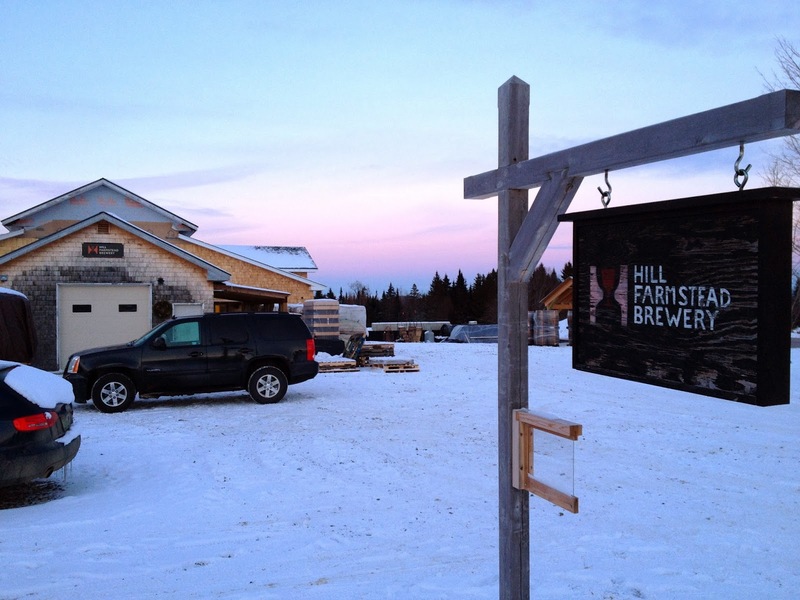 The trip to Hill Farmstead Brewery was about a two-hour drive from Burlington, but it was gorgeous. With about six inches of fresh snow on the ground, we drove through the backwoods of Vermont to arrive at the brewery in the tiny town of Greensboro, VT (pop. 770). The brewery is relatively small (be warned: bring cash! ), producing only about 2000 barrels of beer a year. But that didn't stop them from being named Best Brewer in the World by RateBeer in 2013. So even though their beer rarely leaves VT, many people like us are willing to make the trip. We got there just before closing and went through a quick sampling of their beers. They were excellent across the board, but our favorite was Edward. We picked up a growler of it and a bottle of their port barrel aged Damien, an imperial stout, and hit the road again. That night after the long beer adventure, we opened up the Heady Topper. 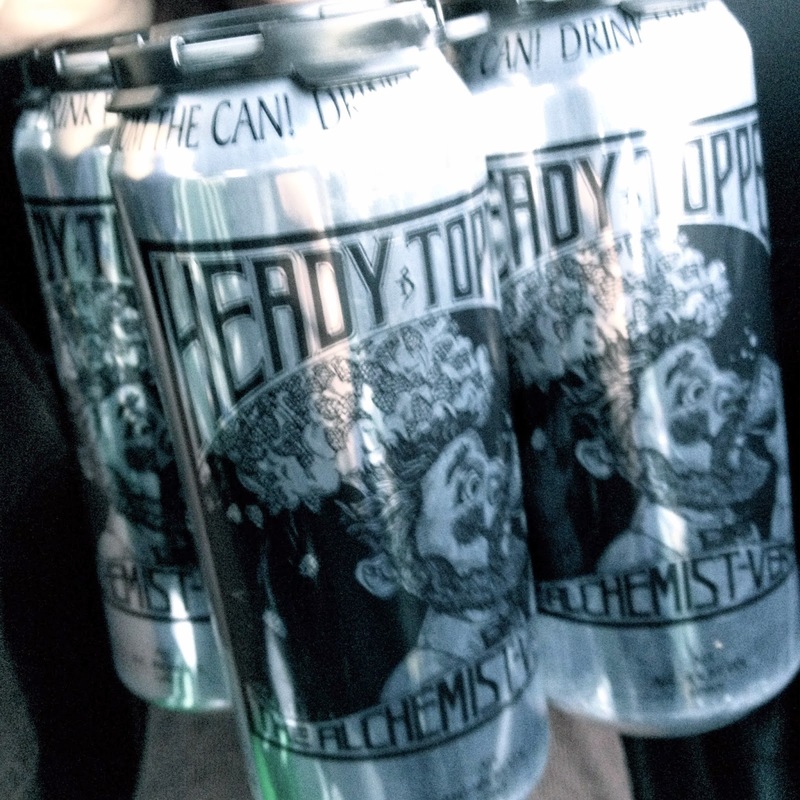 As mentioned before, Heady Topper (8% ABV, 75 IBUs) has a fanatical following, with people traveling long distances just to try it. Someone was recently arrested for re-selling Heady Topper on craigslist. The brewer who makes it, the Alchemist, made news recently by announcing that they would close their retail shop because they were overwhelmed by people trying to get their hands on it. There was quite an uproar following this announcement, reduced only by the news shortly afterward that the Alchemist would attempt to meet demand by opening a second brewery. There must be something in the water in Vermont, because people are going crazy for these beers! For us, we were lucky to grab a four-pack Thursday morning about 10 minutes after it was delivered to the convenience store. In another ten minutes we might have missed our chance. The can instructs the drinker to drink from the can itself. As soon as up open it the hops aromas explode out of it. It's one of those Double IPAs that just sticks to your teeth. It's pale in color, leading me to believe that the caramel malts are restrained so as not to take anything away from the bitterness. This beer is probably the biggest showcase of American hops I've ever had. Would I drive 600 miles just to try it...maybe. 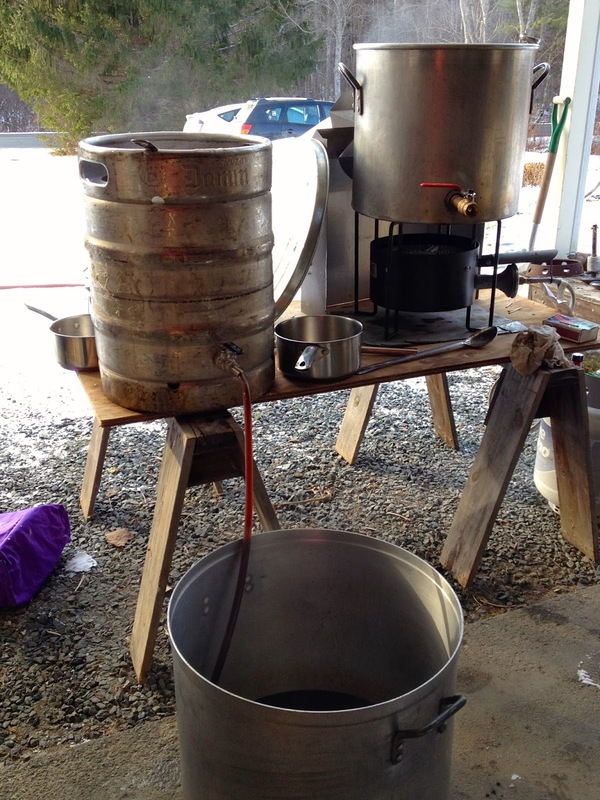 Over the weekend a number of homebrewers got together to brew. Despite being 10 degrees outside, it was a great time. We drained the Edward, a couple of beers I brought from Asheville, and dozens of different homemade beers and meads. Needless to say, we warmed right up. I brought two of my favorite recent beers from Asheville, including Green Man's Harvester (an amber ale made with Riverbend malt and German hops) and Firebreather, a Belgian Strong Ale aged in rye bourbon barrels, a collaboration between Asheville's Burial Beer Co. and Hi-Wire Brewing. I believe the northerners were pleased with the southern representation. For those of you interested, here is the recipe we ended up using for the brew day, an imperial brown ale. Stay tuned -- I hope to review it soon! Big thanks to Milo for a great weekend!